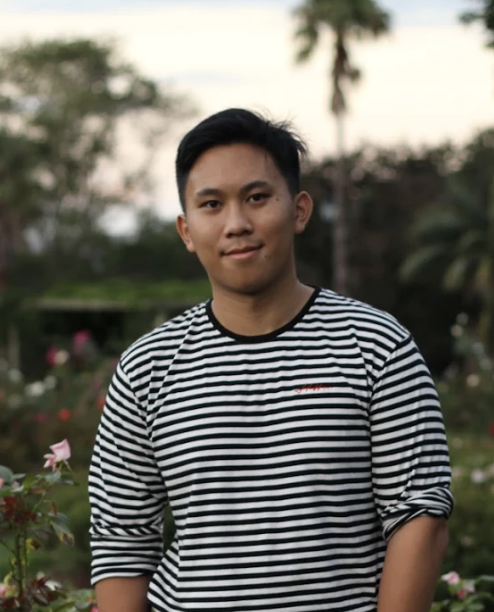 Project Positive is the creation of Tip Varnakomala, who at 17 and living in Christchurch decided that there had to be a way to promote positivity and encourage people to recognise the part they play in life online. Tip’s website and his compliment generator were one of the national Web Rangers campaign winners in 2014 with Google being really impressed with Tips take on how we can all make a difference. His innovative and creative way of tackling the negativity and hate Tip was noticing online gathered national and international attention and followers. He then presented his campaign to Google staff in Sydney and took part in global web rangers tele conferences to share ideas. In 2015, Sticks ‘n Stones were given the opportunity by Google to take the Web Rangers campaigns and build on them to be part of Safer Internet Day. We had no hesitation in taking Tip’s original idea and getting him on board to realise his vision of a #nationalcomplimentsday and a movement across the country that could turn the happy dial to full blast for a platform of giving and receiving compliments for no better reason than it feels great! Our aim is a much more positive and safer internet for generations of internet users so that they can use the power of the internet to learn, play, meet, create, and make use of the amazing things the internet has to offer without having to worry about negativity. 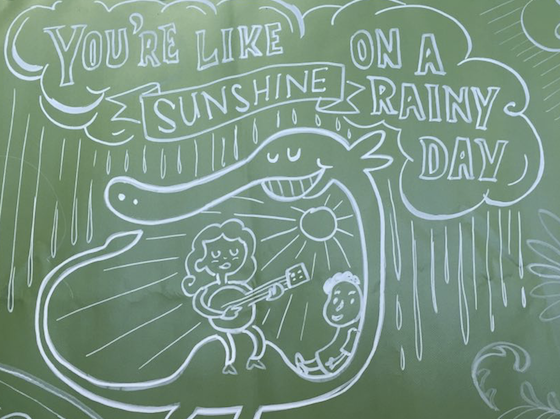 Leading a team from across NZ, Tip worked alongside the League of Live Illustrators to create shareable graphics linked to fun (potentially cheesey) compliments designed to put a smile on people's faces and create a chain of positivity. 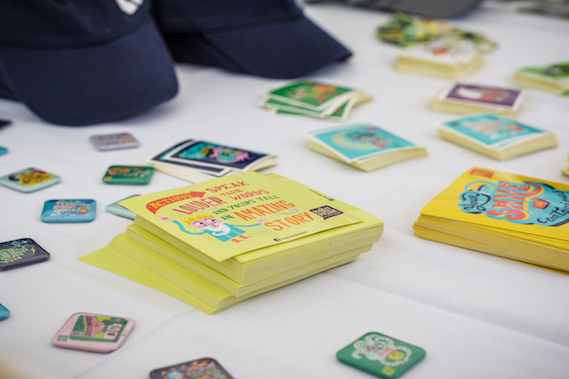 These were launched as part of Safer Internet Day 2016 online and through an activation in Aotea Square in Auckland in partnership with Facebook as well as sending large compliment postcards to MPs to spread positivity through the Beehive. Our compliments were viewed, liked and shared thousands of times online and our campiagn generated a huge amount of positive attention. Click HERE to access the graphics to share via Social Media or as posters. 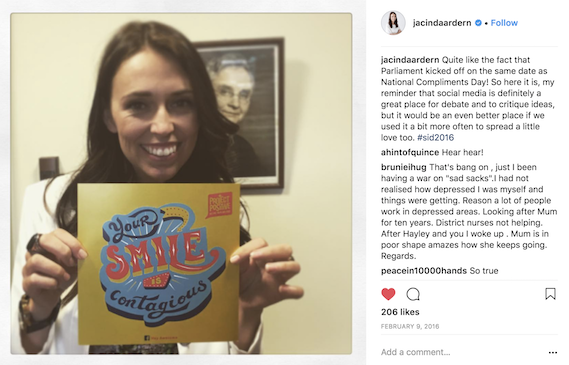 MPs (including the fabulous Jacinda Ardern, Jan Logie and Amy Adams), Art and Matilda from the Bachelor and other amazing people from across the country got behind our campaign. Click HERE to see some of the great photos shared across Social Media. Additional resources were created to support schools to take part and thousands of Kiwis took part. 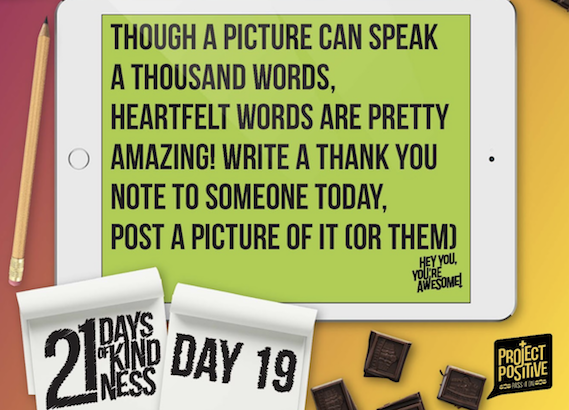 Our 21 Days of Kindness Challenge was shared furst through our Instagram page and then as resources that cluld be used at any time. By taking part in the challenge people could practice gratitude, appreciation and positivity. Why 21 days? Because research tells us that it takes 21 days to form a habit and for changes to become part of your daily routine. The chain of positivity is an easy and fun activity that involves people in making a link in a paper chain alongside others to create a chain that acts a sa metaphor for how we are all connected. There are five easy steps explained on the PDF templates. Using the templates, we encouraged schools, businesses and members of the public to create their own paper chain link with a compliment, affirmation or positive message to join with others. We had hundreds of links created from all parts of the country. This simple activity asks students to match compliments made about famous people with who they think they were about. As a follow up, some classrooms created their own version using classmates or famous Kiwis. Click HERE to see our list of awesome picture books to share and if you ahve others you think should be included, please get in touch with us. Google NZ recognised the potential of Project Positive back in 2015 and supported us to develop it even further. We are sincerely grateful for their generosity and their commitment to empowering young people to lead positive change. It was with their funding support that we were able to take Tip's idea and create the resources that would support it to spread nationwide. Massive thanks to Ross and the Google team for your amazing support. Facebook supported us to engage MPs in taking part in our compliments campaign and spread positivity through parliament. We reached almost 110,000 people online with over 720 people sharing our com pliments through their Social Media. 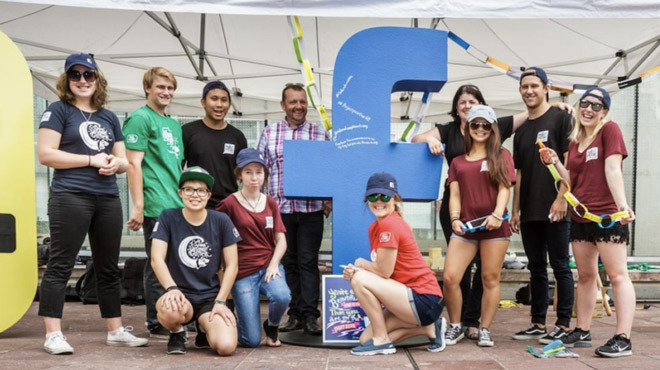 FB also partnered with us to run an incredible activation event in Auckland that spread positivity around the city and enagged members of the community in playing their part. Tip has been involved with Sticks ‘n Stones as a founding Board member in 2016/17 and before that as an advocate and mentor. We met Tip through Google's Web Rangers Campaign in 2015 and loved his energy, creativity, attitude and epic skills and knew we wanted to do more work with him. He is a second-year Information Systems and Marketing student in Auckland and passionate online gamer. Tip helps run the video game club at his university (which includes tournaments and events). He is really interested in Digital technologies and the potential they have to create real change. Tip also believes it is up to all of us to make our time online more positive and that there are simple ways to do this.